China has always been a huge consumer of beer (it is the world’s largest consumer and producer of beer), but tastes have recently been shifting away from masse produced beers, such as Snow, Qingdao and Budweiser to more premium and craft flavors. Sales volumes of cheaper Chinese beers have been falling—both Tsingtao and Yanjing posted losses in sales in 2016. However, demand for high-end beers is growing, and China’s market is ripe with opportunities for both domestic and foreign craft brewers. During the Olympics, in 2008, there was virtually no craft beer available in China: the industry can thank millennials and a growing middle class for its rise. According to McKinsey & Company, Chinese consumers are maturing and more willing to spend more on premier products, such as alcohol. 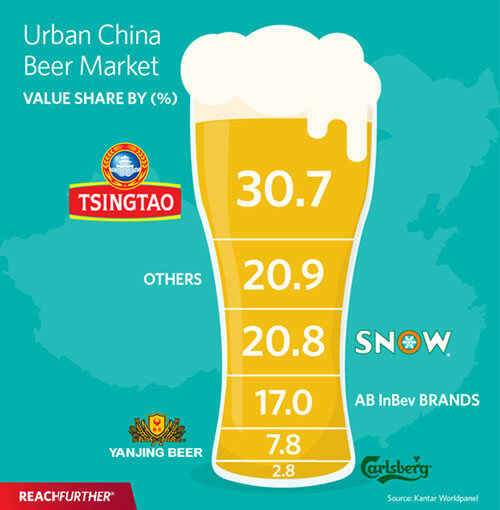 Although the overall volume has decreased, the overall value of Chinese beer sales has actually risen slightly. Chinese millennial consumers are increasingly attracted to premium products and services, and are more and more likely to buy from local brands: consumers want to try something good, or better and are willing to pay a premium for such. Although China only comprises 2.5 percent of American craft beer exports in 2017 it has a burgeoning domestic craft beer industry, China—and the Asia-Pacific region, in general—is one of the fastest growing regions for craft beer. 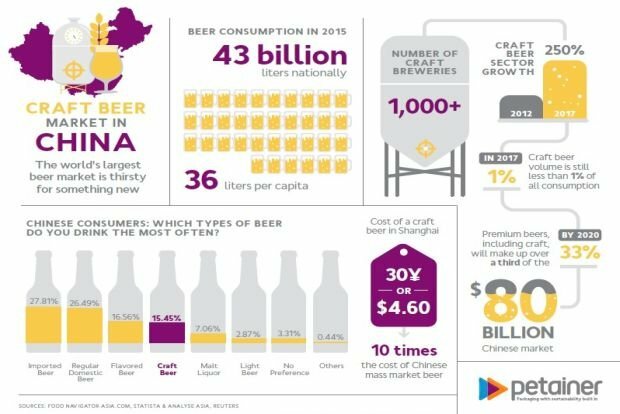 According to the Financial Times, 40 percent of all beer consumed in China was imported, which means that there is substantial room for growth for international brewers, particularly in the premium alcohol segment. Even Anheuser-Busch InBev (AB InBev), the maker of America’s top-selling beer Budweiser, has aggressively been expanding into China to capitalize on the market: The company purchased a stake in popular Shanghai-based craft brewer, Boxing Cat, which introduced Chicago-based Goose Island (which AB InBev bought in 2011) into China, and plans to launch a Goose Island brewery in the country. China’s craft beer culture is still young and has primarily been driven by foreigners living and working abroad, which makes them the perfect target demographic for craft brewers first entering the Chinese market. However, craft beer is becoming increasingly popular among locals, particularly the worldly younger generations who seek out “trendy and high-quality” products. Despite the influx of foreign and domestic brewers, competition is still relatively low. Ninety percent of consumers are still drinking mass produced industrial beer. Most consumers don’t know what craft beer is and haven’t tried it before; hence a lot of resources are spent an education and marketing. For drinkers that are not as familiar with the bitter beers [like IPAs], Chinese consumers exhibit a preference for slightly fruitier, sweeter beers, like wheat beers and hefeweizens. It’s an easier transition for first time drinkers, especially for a country of consumers that’s used to drinking beers that are much lower in alcohol content and have a whole lot less flavor. Although flavor is perhaps the most important part of craft beer, the packaging is also important in appealing to Chinese consumers: Craft brewers often have creative and illustrative designs that stand out on store shelves, especially when compared to their domestic mass produced counterparts. Because craft beer is relatively new and consumption is concentrated among foreigners, not many people outside of Tier 1 cities understand what it is, although the trend is starting to spread. 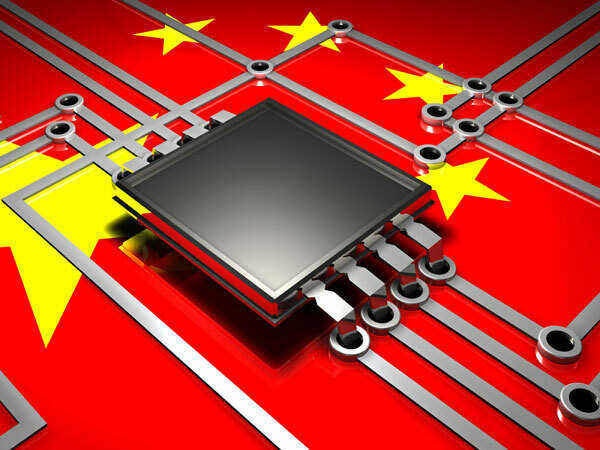 There are also logistical challenges to consider when exporting to China. Craft beer is best served as fresh as possible to get the full impact of the flavor, which means that overseas brewers trying to export to China have to contend with the additional costs of shipping long distances, as well as the extended shipping time and lack of proper storage facilities. However China has seen improvements in storage and handling over the years, so a growing number of importers are investing in upgraded infrastructure that maintains cold-chain throughout the beer’s life cycle: being kept cold from when it leaves the brewery, to when it gets to the customers’ hands. As consumer tastes mature and become more diverse, so will the number of local breweries that operate in China. As local craft beer becomes adopted by local consumers, there will be more options and opportunities to sample such beer—or create that desire to experiment with more than the domestic mass produced beer on offer in supermarkets. For those wishing to conduct a little further research in this field, this list contains China’s top breweries. Search engine advertising is an effective way to boost website traffic and generate leads – and, when done correctly, many have found it is the most effective way. Knowing the market well is the key to start a successful search engine advertising campaign. This is as true in the U.S. as it is in China. However, the tools used to execute search engine campaigns are different. In China, Baidu search engine has Baidu Phoenix Nest Promotion, a paid advertising platform similar to Google Adwords. It includes search networks, display networks, and mobile DSP networks. We will particularly talk about text search advertising today and discuss how to use some of the Phoenix Nest functions to optimize your search engine advertising for the China market. As with Adwords, marketers using Baidu need to understand their target audience and industry, then build the account with clear account structure, well-organized keyword groups, and relevant ad creatives and landing pages. More so than AdWords, to pursue better Baidu search engine ad performance, marketers need to have deep insights and wide knowledge of the China market and integrate that information with a strong understanding of the target audience and platform. 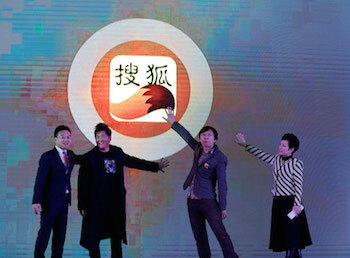 Let’s consider four ways Baidu Phoenix Nest allows for greater insights, strong targeting, and optimization solutions. There are three types of location targeting available in Baidu Phoenix Nest. They can be used within a particular account or specific campaign. China has been developing very fast in the past 30 years, and many cities have experienced unexpected economic growth. As the map shows, there are 33 providences in China and more than 600 cities. An understanding of these geographic categories and specific traits is essential to search engine advertising. B2B digital marketers need to leverage that knowledge to set accurate location targeting in their Baidu search engine campaigns. A typical classification is the “tier system,” which has categorized the cities into 5 tiers. Different city tiers imply different consumer behaviors, income levels, and business opportunities. Tier 1 represents the most developed areas with the most affluent and sophisticated consumers. Tier 2 and 3 cities become increasingly attractive to the investors because the economy is growing there, while Tier 4 and 5 are less-developed small cities. Another classification is coastal regions and inland/westwards. Typically, the cities/providences in the coastal regions are developed areas and inland cities are less developed. Both classifications help marketers know where their target customers are and how to reach them. Compared to the Adwords location targeting, Baidu search engine advertising requires more thorough and strategic thinking when creating an account or adjusting campaign settings. For example, most of the industrial or manufacturing companies are located in the coastal regions, and advanced technologies companies are located in tier 1 and 2 cities. With a deep understanding of the China market and where the majority of potential customers are located, marketers can better control their budget. The second type of location targeting is Region Radius Positioning. It allows marketers to select a particular location on a map and establishes a radius of 5 to 50 kilometers. It is an excellent tool for companies interested in local search. Also, if marketers know potential prospects, they can even put in the prospect’s business address as the targeted location and deliver relevant campaigns to them. Both of these location targeting methods allow marketers to set the bid adjustment with a ratio of 1 to 10 in order to increase the bids for a particular location. Meanwhile, while the campaigns are running, marketers can track the data and generate a geographic report, and then optimize accordingly. The third type of location targeting is more focused on local stores, like retail and restaurants, which is not very relevant to B2B marketing. Most B2B marketers are very familiar with Adwords Scheduling. Baidu Phoenix Nest has a similar function that allows users to set targeted dates and times to run campaigns. For U.S. campaigns running in Adwords, three time zones need to be considered in campaign settings. Normally, B2B marketers start by scheduling a campaign from 7 a.m. to 10 p.m. Eastern Time and then optimize based on results. However, there are different considerations in China and Baidu PPC scheduling. Although China is a country with vast territory, people across the country only use one time – Beijing Time. Normally, people go to work from 8 a.m. to 5 or 6 p.m. For campaigns with a limited budget, marketers can set the campaign to run from 8 a.m. to 6 p.m., or 7 a.m. to 7 p.m. without consideration of time zone. In many cases, B2B marketers set campaigns to run on weekdays. However, some Chinese companies also work on the weekends, and, in many cases, there are leads coming in on the weekends with a lower CPL and visits with a longer page visit time and lower bounce rate. All of these metrics indicate a targeted audience is visiting the site. To capture these customers, we often suggest continuing branded campaigns seven days a week and running the other campaigns with a smaller budget. Because Baidu does not have a function to set bid adjustments in the scheduling interface (Adwords does), a manual operation is needed to change the budget for the weekend. Normally, marketers could lower the budget on Friday afternoon, and increase it back to normal on Monday morning. In September 2016, Baidu released a new setting function called people targeting. It helps identify search engine users’ interests and search behavior and then generates more clicks and qualified conversions by presenting the most relevant ads to those target people. It covers 21 interests, including business service, travel, manufacturing/device, e-commerce, finance, etc. If a company’s targeted audience includes any of the above interests, marketers can set a targeted interest to engage them. In addition, marketers can target people who have been exposed to your competitors’ ads in advance through this setting. Marketers can customize the bids for both types of people targeting using a ratio of 1-10. In China, people prefer direct and effective communication. While form submissions are common practice for lead generation in the U.S., leads as calls and QQ instant chat are more effective to the Chinese people. B2B marketers can include a phone number and QQ number in the ad creative or on landing pages to signal to potential customers that they can contact your business directly. Other options include using a call-extension to simplify the dial process for mobile users or inserting QQ tools onto the business site. The data can be more accurate by using call-tracking third-party tools. But even if marketers don’t have that type of technical support, they can design an easy-read report to record each phone call and QQ. Then, you can ask the sales team to follow up. 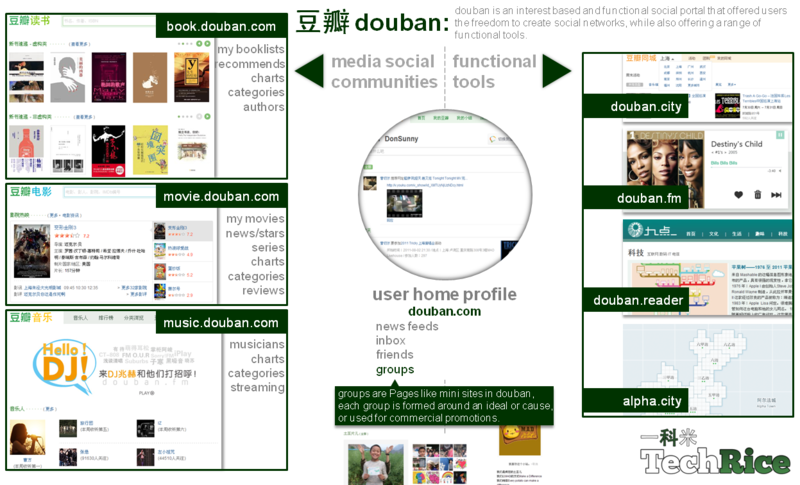 Douban is one of the lesser known social medial platforms in China, that we first wrote about back in 2012. It’s been around since 2005 and still enjoys widespread popularity amongst white collar workers. It has about 60 million registered and about 150 million unregistered users. In fact, one of the unique features of the network is the fact that users, who are not registered, can still enjoy 90% of the site’s functionality. Marketing on Douban offers some unique opportunities for brands targeting niche audiences and could present an interesting opportunity for certain companies. Of course, compared to Weibo, WeChat, Renren or Qzone, those are fairly small numbers but what sets Douban apart is the unique culture created by a core of dedicated users. Unlike Weibo, it appeals to white collar, sophisticated Chinese urbanites. According to Doctor Yang Bo, the founder of Douban, most of the users live in major big cities of China. They are office workers, artists, freelancers and students who share common interests in arts, culture and lifestyle. Douban is a truly unique Chinese social media phenomenon which can be loosely described as a sophisticated hybrid of Amazon’s book reviews, IMDB.com, Blogger, MySpace, Pandora and Pinterest wrapped up into one platform. Another part of the site features Groups which are, in turn, categorized by interests such as fashion, entertainment, photography, technology or lifestyle. The City section features various events nearby, such as festivals, exhibitions, film screenings, theater performances etc. There is a section for people willing to get together for games, group shopping, dating or any other other local activity. Douban.FM is a music streaming service. In its structure and functionality it is similar to Pandora. It streams music that matches listener’s taste based on his/her history of favoring or skipping tracks. In its latest attempt to generate more revenue, Douban has added a section simply called Stuff (which is still in beta). It is all about discovering and shopping for cool things but it is quite unlike a bazaar style of Taobao. Items can be reviewed by users, favored, added to wish list or a shopping card and purchased. The Stuff section is somewhat a fresher and more sophisticated version of an online shopping site targeting buyers looking for individual style and less focused on searching for the cheapest bargains. In the past, Douban has been criticized for slow user base growth as well as for failing to properly monetize its service by restricting its ads. It is true that advertising options are somewhat limited on the community pages with very little screen real estate dedicated to ads. Also, those spots tend to be quite expensive selling between 15 to 20 RMB per CPM, an order of magnitude higher than on comparable sites. With the addition of the new Stuff section, Douban seems to have found a potentially lucrative formula to keep its distinct and sophisticated character and yet take advantage of the desire of the urban elite, its main user base, to express their individuality through buying unique things. Douban seems to be one of the most underrated Chinese social media sites with great potential. Besides the obvious option of promoting products thorough its new Stuff section, marketing on Douban should be an excellent option for a more sophisticated promotion campaign targeting upscale urban consumers through its communities and groups platform. Several high visibility brands have also established what is called a brand stations on Douban. One example is of Adidas that features its collections but also actively promoting the brand through completions and events. Douban, being a one of a kind social media site in China, is often overlooked by Companies as an alternative venue to appeal to increasingly sophisticated big city based users and can be effectively used to target niche sectors of the Chinese online community. 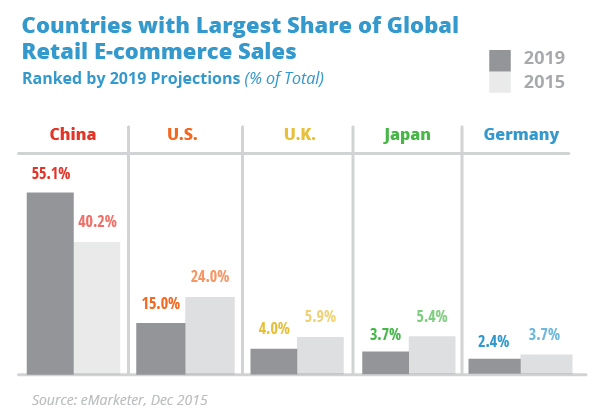 China ecommerce accounted for around 15.9% of all retail sales in 2015. China e-commerce is estimated to grow to 19.6% in 2016. 53% of the 688 million internet users in China are online shoppers – more than the combined population of the United States, Russia, and Brazil. China has over 1.28 billion mobile phone users which is the preferred method of online shopping. E-Commerce sales in China totaled $672.01 billion in 2015, up 42.1% from $449.01 billion in 2014, according to the Chinese government’s National Bureau of Statistics (CNBS). By 2019, it is estimated that one out of every three of China’s retail dollars will be spent online, the highest percentage in the world. The estimate for the U.S. is one out of ten. 71% of shoppers are in cities; 82.3% are between 25-45; 55% are female. Top purchases are: apparel, food, skin care and beauty, and baby/pregnancy care. China’s ecommerce growth is majorly fueled by the hyper-social behaviors of it’s online shoppers. Alibaba Group Holding Ltd. owns both Taobao and its B2C online marketplace counterpart, TMall (TMall sells 70,000 Chinese and international brands from 50,000 merchants). Chinese social network and SinaWeibo, as well as instant messaging turned ecommerce, gaming, and financial services social platform WeChat, are the top two power players bridging any gap there may have been between social media and ecommerce. To get any kind of market penetration in China, international brands must sell on social channels and keep a cyber-eye out to mine for consumer insights. 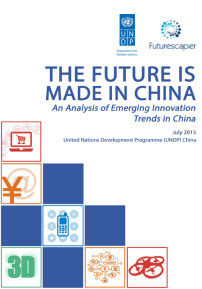 In December 2014, the United Nations Development Programme (UNDP) in China, using the services of Futurescaper, launched a public website survey to receive more information on innovations trends in China. This foresight exercise was meant to examine the climate of Chinese innovation, as reported by Chinese citizens and other experts from the general public residing in China or abroad. The assumption was that although many people think that China is good in copying and adapting products, a great deal of innovation might be going on in China which the world is unaware of. This Futurescaper exercise aims to reveal that products are not only “made in China” but that at the same time are part of “the future is made in China”. Futurescaper’s tools help organizations uncover and map out the drivers and dynamics that their stakeholders think are most important, understand why they think this is, and explore what their implications are for the future. By combining human insight with analytics together with a great visualization tool, they make this process faster and cheaper than traditional scenario workshops, more insightful and interactive than surveys, and more participatory and empowering than traditional expert analysis. 5G is coming and with it means the ability to use mobile devices in ways not possible today. While there are already more mobile devices than people on the planet, they will continue to have increased capacity and capability. Announcements and advertisements must now be appealing on the small screen. Chinas Mobile advertising market is currently the fastest growing sector for companies involved in retail. Now exceeding PC users, the mobile internet market represents the forefront of technology and dynamism in China. In Q1 2015, the total transaction value of China e-commerce market is estimated to have exceeded RMB 3.48 trillion (USD$567.49 billion). With these sorts of numbers no company can afford to ignore the apps where potential clients spend a large proportion of their time. Mobile devices have become the customer's primary means of interaction with companies. WeChat is leading the field in app`s and is unique in both being a native mobile application and including integrated e-commerce and mobile payments: A quick referral of a product from a friend and a purchase can be made in a matter of moments while the user may never have to leave the WeChat application on their mobile phone. Brands can use WeChat in a few ways to support sales growth, including setting up their own brand shops (as service accounts), working with malls (WeChat operates a couple of their own), using direct sales platforms for user-generated sales (like Weidian that has payments linked to WeChat), and using loyalty cards for location-based promotions and member offers (managed by WeChat inside the app under "QQ iCard"). Data source: compiled by EnfoDesk, an online research institute, Rankings are based on the number of active users as of May 2015. 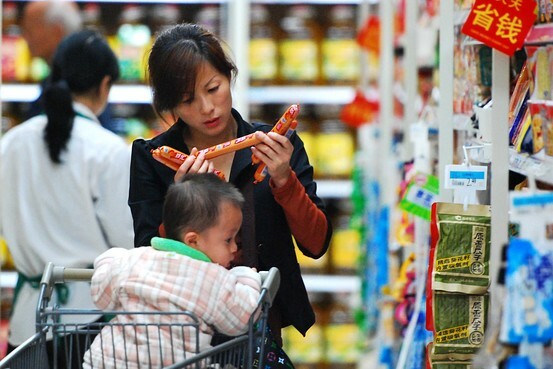 Chinese consumers are both brand conscious and price sensitive: the key to understanding this dichotomy is to appreciate Chinese culture, where face and social status are crucial as well as the prevailing attitude of a lack of trust in product quality. This skepticism leads Chinese shoppers do significantly more research, across many more channels, than their counterparts in the West. 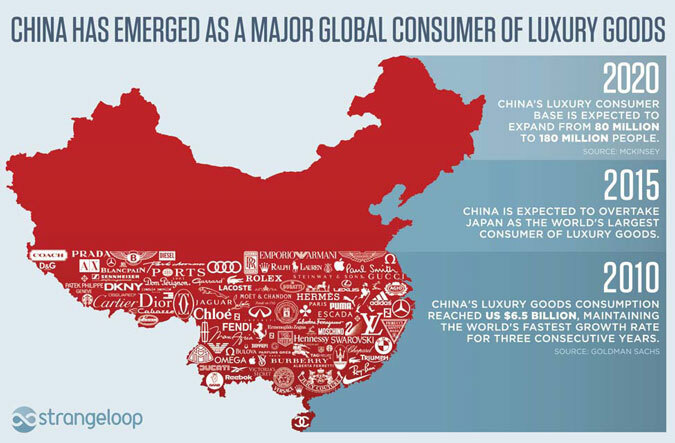 If a brand can signal a higher social and/or economic status, Chinese consumers are happy to pay a premium. If it doesn’t, they become very price sensitive as well as skeptical about quality. eBay requires buyers to pay first and then wait for an item to be delivered. This model works in societies where the trust level is high. However, there is a serious lack of trust in China between consumers and manufactures, so asking buyers to pay first without seeing the product is a hard sell. That’s why eBay failed in China. Conversely Taobao came up with a different model: It introduced a third-party payment system, namely AliPay, where buyers pay to a third-party account owned by Alibaba (Taobao’s holding company), and only after they have confirmed receiving the products in good order, Alipay will transfer the money to the seller. This model effectively solved the trust issue in e-commerce. Throughout China`s history companies of all sizes have consistently lied to their consumers, and this is why, even today, the Chinese are so cynical and suspicious about purchasing products, especially online. Facts that might be taken for granted by western consumers will be questioned vigorously in China, and it is necessary to cultivate trust from a low starting point. The challenge for companies is to prove to consumers that their products are rigorously inspected and tested. Whilst having a natural advantage in the trust area, foreign brands now have to compete move vigorously with domestic brands, especially in budget/mass consumer products. There is also a growing sense of pride in “buying Chinese” which is being utilized to the max by a growing force of domestic brands such as Xiaomi and Anta. A spate of investigations into foreign big name brands a few years ago has eroded the unquestioning faith in western brands, who must now concentrate on the core values of integrity and honesty. 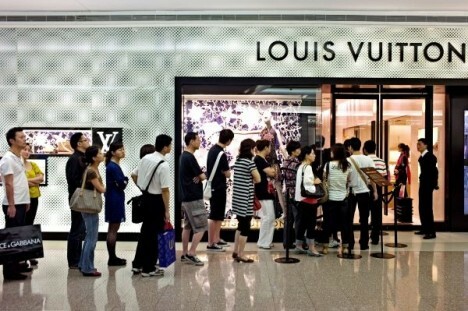 The Chinese may be relatively new to the consumer world, but they are far from naive. They look much deeper than colorful billboards and TV commercials. Increased foreign travel, burgeoning Social media and increased awareness of consumer rights have helped the Chinese consumer become ever more sophisticated. One area in which foreign companies still outdo their Chinese counterparts is in customer service: with rising expectations amongst the growing middle classes there is still a stark difference between a walk trough an Apple store compared to a domestic computer shop with a traditional sell and forget attitude. However this is also fast changing with Private Banks and Airlines taking the lead. Consumers are becoming savvier, and insistent on, good service, and domestic producers are taking notice. In the high growth regions of 2nd and 3rd tier cities the personal touch is an incredibly effective marketing tool where the standards of customer care remain low. The days of “Made in China” are now progressively being replaced by “Made for China” foreign companies have to truly understand the needs and changing characteristics of Chinese consumers, and build quality products and services to meet these needs. Crucial to the message is their utilization of social media and brining the latest in consumer services to China. Having experienced rapid expansion and growth over the last decade the industry as a whole is still considered to be in its infancy even with a compound annual growth rate of 28-30% for the 2009-2013 period. FDI has played a major role in the development of the industry accounting for about half of the companies currently operating in the mainland. The market is mainly focused on two segments: auto and commercial property insurance however health insurance is becoming significantly more widespread along with emerging non-life insurance products like product liability, credit and marine insurance etc. Currently, auto insurance accounts for over 70% of the premium in the non-life insurance sector (please click here for KPMG`s latest outlook on auto sector insurance). As a whole the industry is investing more in risk segmentation, new distribution, product innovation, and customer services. Sustained growth of the China non-life insurance market will be maintained over the next few years. China Life Insurance Co Ltd is the largest life insurer in the People's Republic of China. The company offers individual life insurance, group life, accident insurance, and health insurance policies. China Life commands 45 percent of the market, and holds the number one position in 29 of the country's 31 major markets. Ping An Life Insurance Company of China, Ltd. is a major subsidiary of Ping An Insurance (Group) Company of China, Ltd. It was established in year 2002. For the past 10 years, Ping An Life has been growing rapidly as China's insurance industry has expanded, achieving a leading position in both scale and service quality. It is now the world's second-biggest life insurer by market value. China Pacific Insurance (Group) Co Ltd ("CPIC") is an insurance group basically encompassing by China Pacific Insurance Company, a company established on 13 May 1991. The head office of CPIC is located in Shanghai. New China Life Insurance Co Ltd, headquartered in Beijing and founded in 1996, is an insurance company. The company primarily provides life insurance services. After the company went public in 2011, the total assets of the company reached 565.849 billion yuan. Taikang Life Insurance Company Limited is a Beijing-based, China-incorporated life insurance company. It is one of the largest in China and offers services ranging from life insurance to asset management. It was founded in 1996 and has branches in Beijing, Shanghai, Hubei, Shandong, and Guangdong. Sino Life Insurance Co Ltd, incorporated in 2002, is a nationwide professional life insurance company in China currently headquartered in Shenzhen. China Taiping Insurance Group Ltd ("China Taiping") is a Chinese state-owned financial and insurance group whose management headquarters is located in Hong Kong. China Taiping is currently the longest standing national brand in China's insurance industry. It had already become an industry leader in the 1940s after its foundation in Shanghai in 1929. 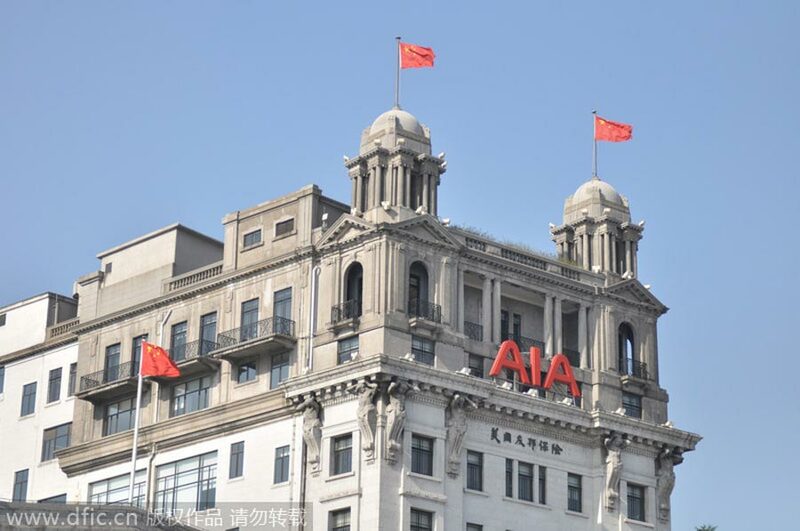 The business that is now AIA was first established in Shanghai over 90 years ago. It is a market leader in the Asia-Pacific region, except for Japan, based on life insurance premiums, and holds a leading position across the majority of its markets. CCB Life Insurance Co Ltd, headquartered in Shanghai, is an insurance company and its principle shareholder is China Construction Bank, one of China's major banks. Manulife-Sinochem is a joint venture company between Manulife (International) Limited and Sinochem Finance Co Ltd (a member of the Sinochem Group). It was the first Chinese-foreign joint-venture life insurance company established in China. During the year of China`s Economic & Social rebalancing, this report examines brand building in China. Whils the list is still dominated by SOE`s in the first 50, the next half show an interesting prominence of private companies where Chinese entrepreneurs have been developing market-driven companies and valuable brands accross many product and service categories which will only increase in value as reblancing unleashes competition. Comparing the brand equity of Chinese brands and foreign brands in China. Chinese brands have caught up. They lag in only one crucial aspect: meaningful differentiation. That’s the missing piece for Chinese brands; it’s a critical element for the brands ranked 51 to 100 to move into the upper tier of the BrandZ™ Top 100 Chinese ranking. For the full PDF report, please click here. As China seeks to create the market conditions to grow the middle class and increase spending power, this report by ECCGCC highlights 10 areas in which their expert panel expect to see significant developments and market trends. Please click here to open the PDF report. 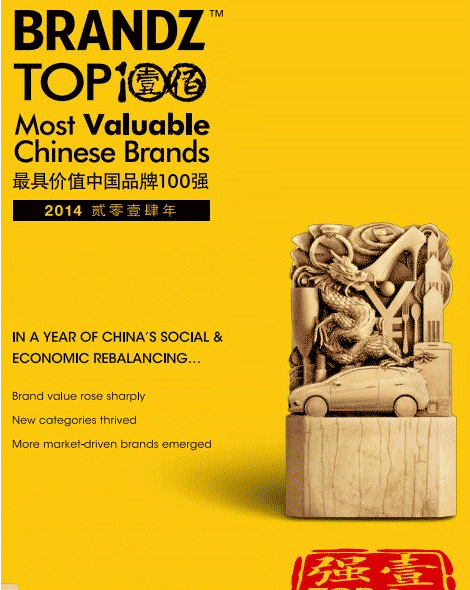 The Hurun Research Institute today released the Hurun Best of the Best Awards and Hurun Report Chinese Luxury Consumer Survey 2014. This is the tenth consecutive year that Hurun Report has published the survey, which reveals the brand preferences, consumption habits and lifestyle trends of China’s wealthiest individuals. 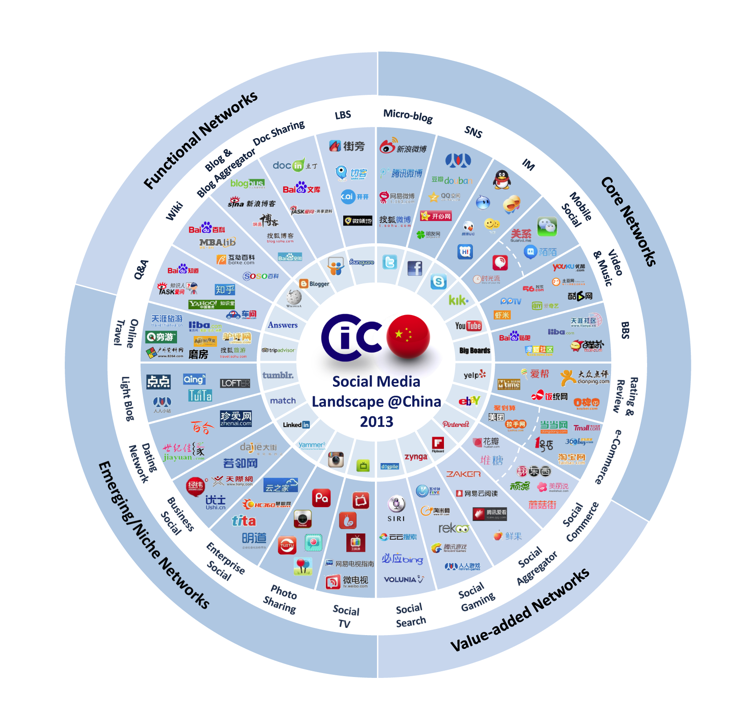 China has by far the most active Social Media sites in the world. Approximately 90% of the population with internet access are registered on one or more site. Understanding this trend is essential for foreign companies contemplatiing market entry and one fundamental aspect of social-media usage in China: it has a greater influence on purchasing decisions for consumers in China than for those anywhere else in the world. Chinese consumers say they are more likely to consider buying a product if they see it discussed positively on a social-media site, and more likely to actually purchase a product or service if a friend or acquaintance recommends it on a social-media site. Going West and Climbing Higher? Some recent evidence suggests that a profound transformation of the industrial landscape in China is under way. First of all, migration of mass manufacturing activities from traditional export centers in Southern and Eastern coastal cities to the inland is accelerating. The world’s largest PC makers and their contract manufacturers are establishing new factories in the Southwest: Hewlett-Packard (No.1 PC vendor by shipments), Acer (No. 2) and AsusTek (No. 6) have chosen Chongqing, while Dell (No. 2) and Lenovo (No. 4) have chosen Chengdu of Sichuan Province. When these new plants run at their full capacity, industrial analysts expect that Chongqing and Chengdu will become the world’s largest manufacturing base for notebook and tablet computers, respectively. China’s populous Chongqing and Sichuan Province, once characterized as poor and rural and the country’s major sources of migrant workers, are going to be transformed into immense industrial hubs. The drivers of this large-scale industrial migration are a sharp rise in labor and land costs as well as labor shortages in established manufacturing centers in Eastern and Southern China. In addition, the new manufacturing locations are well-serviced by infrastructure after a decade of government investment under the campaign of “Developing the West”. This migration of mass manufacturing presents a new challenge of growth for the developed coastal cities. While shifting manufacturing to the inland, multinationals are also transferring more managerial and R&D functions to China, with some cities being better positioned than others to attract this high-end employment. Regional headquarters of multinationals in Shanghai rose to 305 in 2010, up from 224 in 2008, according to the Shanghai statistics bureau (Financial Times, May 25). Intel has just sent an executive vice-president to Beijing as chairman of its China operations, a clear sign of the expansion of higher-end activities in the country. Other cities may not be so lucky. According to recent Chinese reports, eighty percent of the Shanzhai cell phone manufacturers in the Shenzhen area have gone bankrupt since the beginning of the financial crisis. Although started as local-made lookalikes of foreign brands as the Chinese characters suggested, some scholars of industry have characterized the Shanzhai cell phone makers as a “Chinese way of innovation”. Based on turnkey solutions for combined chip, platform and third-party apps (provided by Taiwanese company MTK), clusters of small cell phone suppliers had been very successful in making cheap phones with gaudy features and shiny looks that pleased low-income Chinese and foreign consumers. Some 200 million unbranded Shanzhai cell phones were sold in 2010, and a large portion went abroad. Yet the faster than expected conversion to 3G-capable smart phones has destroyed the Shanzhai business model; at this stage at least, it is difficult for chip suppliers to commoditize the sophisticated smart phone platforms. The small Shanzhai manufacturers that used to implement incremental innovations on less advanced technologies in the 2G era now have neither the capability nor the financial resources to develop 3G smart phones.